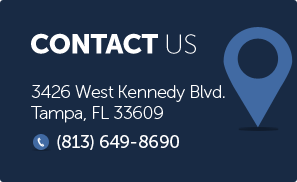 If you were arrested in the small, unincorporated area of Hillsborough County known as Balm for the crime of Dui, the attorneys of Finebloom, Haenel & Higgins are available to represent you. There are no Dui attorneys in Balm, however, the dui attorneys of Finebloom, Haenel & Higgins are available to meet onsite to assist you with your DUI defense. A dui arrest in Balm would be made by the Hillsborough County Sheriff’s Department. This department is known for aggressive enforcement of DUIs throughout the county. In some cases a Hillsborough deputy patrolling the outskirts of the county may come across a driver they believe to be impaired while driving through Balm. Dui lawyers not fully familiar with rural traffic stops may not have the ability to provide a complete defense to a client arrested as a result of this type of stop. At Finebloom, Haenel & Higgins our attorneys have represented clients stopped in numerous ways and numerous places including rural stops such as those made in Balm. Dui attorneys of our caliber have the ability to competently represent you in this situation. Rural stops can pose challenges to the inexperienced dui lawyer. Balm and other rural sections of Florida are not always well lit. The terrain and conditions are not always ideal for the performance of the field sobriety exercises relied on by deputies in their dui investigation. If the attorney is not familiar with the best way to address the unique defenses available from these conditions your case could be lost. At Finebloom, Haenel & Higgins we screen the most qualified dui lawyers in Balm and the surrounding areas to help defend our clients. Our defense team consists of dedicated professionals who wish to focus on dui defense. You will not find a higher caliber of Dui attorneys. Balm is only one of the rural areas we serve, providing individualized and quality representation. If you have been arrested in Balm and charged with DUI, call Finebloom, Haenel & Higgins now at 813-200-4412. Our team has the rural experience needed to provide the best defense to you in this situation. We are available 24/7 for consultation.